It was 6 p.m., and we still had some ­daylight to tempt big stripers in the shallows with our free-lined menhaden. Suddenly, a large boil disturbed the calm surface, followed by a powerful tail slap that sent my bait sailing into the air. In an instant, a 40-pounder engulfed the stunned bunker, and my line telegraphed its powerful head shakes. While trolling wire lines in storied waters such as New York’s Montauk Point produces big bass, the Connecticut coast offers more intimate locations where huge cows consistently explode on frantic baits right on the surface. Connecticut waters consist — almost entirely — of Long Island Sound, a massive 110-mile-long tidal estuary fed by several large rivers such as the Housatonic, Connecticut and Thames. Every year, from June through October, monster striped bass take up residency in the sound — endowed with countless natural and man-made structures — to feast on a plethora of prey in comfortable water temperatures. Compared to ­coastal ­waters in surrounding states, Connecticut’s are protected from ocean swells and offshore winds, and get far less fishing pressure to boot, a combination that ­creates a dreamland for anglers aboard small ­center-consoles to target oversize bass. Everything starts with the bait. Schools of bunker arrive in Long Island Sound, with big stripers in ­pursuit, in June when the water temperatures are in the low 60s. You can expect ­many of these big bass to be around the river mouths and adjacent reefs. As the ­river temperatures rise above 70 degrees, stripers move to the deeper, cooler waters at various reefs in close proximity to the rivers. The exception to this is during a flood tide, when cooler water pushes back into the river mouths, and big bass follow their comfort zone. 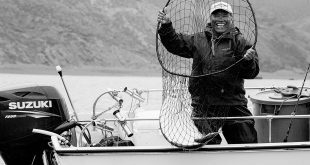 However, when water temperatures rise to 70 degrees or more in August, casting live eels at night offers a productive alternative to daytime fishing. During fall ­— September and October — water temperatures begin to drop in the rivers, and the big cows retreat back into the large tidal rivers. Moon phases also come into play. When stronger currents during the full- and new-moon tides coincide with the hatching of small baitfish, opportunity for success is optimal. However, do not overlook the quarter moons because many big bass are caught during all moon phases. Large schools of adult menhaden (aka bunker) congregate in the rivers and harbors that dot the Connecticut shoreline throughout the season. So, it’s not difficult to locate some and use a cast net to put about 40 in the livewell. If you don’t spot them flipping on the surface, use your fish finder to pinpoint schools hunkered down in deeper channels. I use Humminbird’s Mega Imaging, which combines side and down imaging to cover more water fast and ­locate suspended schools. Experienced anglers like to catch bait early and get to their fishing spots by sunrise. After making bait, we frequently head to Bartlett Reef, a boulder-strewn reef, to free-line bunker. It’s a short run from Niantic Bay, which usually holds bait and has a state-run boat launch. It’s common to encounter mayhem: big bass boiling, tail slapping, and chasing the baitfish, frequently right next to the boat. Just look for areas with large boulders and good current flow,   a simple process considering the countless reefs and rocks strewn throughout Long Island Sound. Aside from Bartlett Reef, the Race, Long Sand Shoal, and Southwest, Six Mile and Hatchet reefs are all top producers close to access points. For exact locations, consult Captain Segull charts FI105, LI15, HMR030 and NLI106 (captainsegullcharts.com). 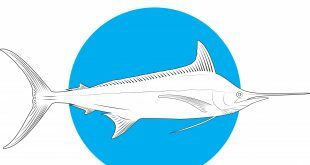 In depths of 20 feet or less, it’s best to hook live bunker through the nostrils and free-line them, allowing the baits to swim ­naturally. 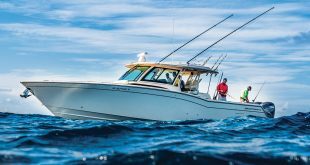 When fishing the deeper parts of the reefs — the 20- to 80-foot range — the most productive method is using a three-way-swivel rig with just enough lead to keep your bait vertical as you drift. “Q” Kresser, manager of Rivers End Tackle in Old Saybrook, a veteran of countless trophy-striper battles, keeps his three-way rig some 4 feet off the bottom, taking two cranks of the reel handle the moment the sinker touches down. “Stripers are more likely to feed upward,” Kresser says. For best results, look for humps and drop-offs along the edges of the reefs that offer stripers an ambush point. As the depth changes, you’ll have to take in or let out line to maintain your bait in the strike zone. 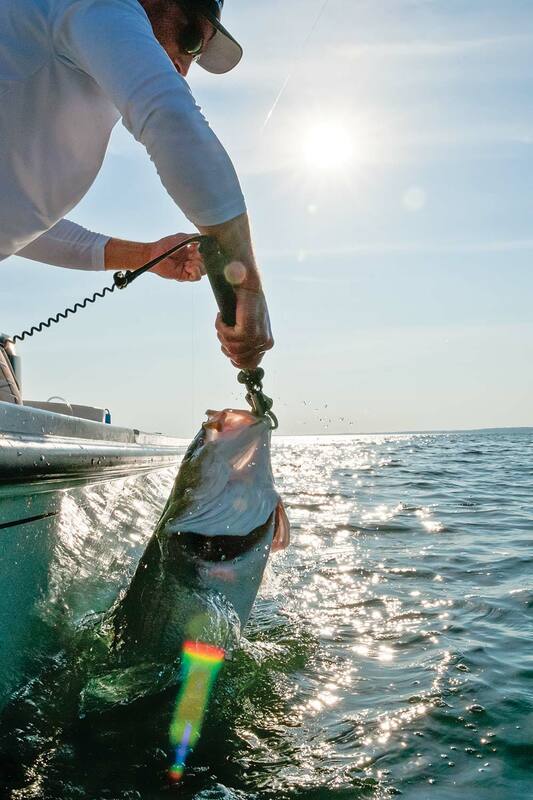 While live bait accounts for the vast majority of 40-plus-pound stripers landed, there are times when the big cows will crush a topwater plug. Large Zara Spook-style lures are the best producers when big bass are aggressively feeding on top. Their walk-the-dog action is deadly. Their constant change in direction, as opposed to a straight-line retrieve, is what triggers reaction strikes. The best chance of sticking a big bass on a topwater is when the fish are busting on bunker, especially at first and last light. Even when live-lining, always have a rod rigged with a plug, ready to cast into the next melee that appears. Right before the last of the daylight fades, it’s time to move in tight to a shallow boulder field and switch to casting live eels, the No. 1 producer of trophy stripers at night. After the cast, allow the eel to settle and swim to the bottom. Once you deem the eel is close to the seafloor, begin a slow retrieve, pausing occasionally to let the eel swim near the bottom without snagging. 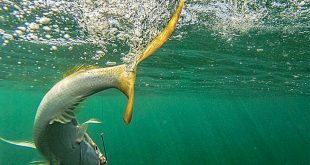 When you feel a strike, “bow to the cow” — lower your rod — before setting the hook firmly with a solid upward follow-through. Avoid letting the bass take the eel, because this will result in the fish spitting the hook or becoming gut-hooked. During a recent charter, my client hooked up almost as soon as the first eel slapped the water. The bass made a drag-peeling run toward the shoreline, then turned and swam right to the boat, requiring some fast cranking to keep the line taut. A tense moment later, I released the massive striper, which measured more than 50 inches and weighed close to 50 pounds. Reefs, boulder fields, jetties and sandbars offer prime habitat for stripers. But bass move into shallow water during low-light conditions, then return to deep water as the sun rises, so look for structure in proximity to deeper water. Areas such as Long Sand Shoal, and Six Mile, Hatchett and Bartlett reefs are perfect examples. Expect rip lines to form on the down-current side of a reef, and the majority of hits to come from just ahead of the rip line. Though you may see smaller bass chase bait in a rip line, stick with fishing liveys near the bottom to entice the largest fish on the reef. Big bass are often located away from surface-­feeding schoolies, heavy fishing pressure and boat traffic. Luckily, the amount of structure available in Long Island Sound offers anglers the ability to fish away from the crowds. Once considered just a state you drove through to reach fabled striper grounds throughout the Northeast, Connecticut has become a staple of trophy striped bass hunters who count on solitude for their total fishing experience. The noise and splash of these topwater plugs fire up stripers lurking nearby, and the sizable silhouettes let the fish zero in. When stripers feed on or near the surface, plugs that mimic frantic, fleeing baitfish often garner explosive strikes.